Sleeps 6 (1 Queen & 2 Full Beds). 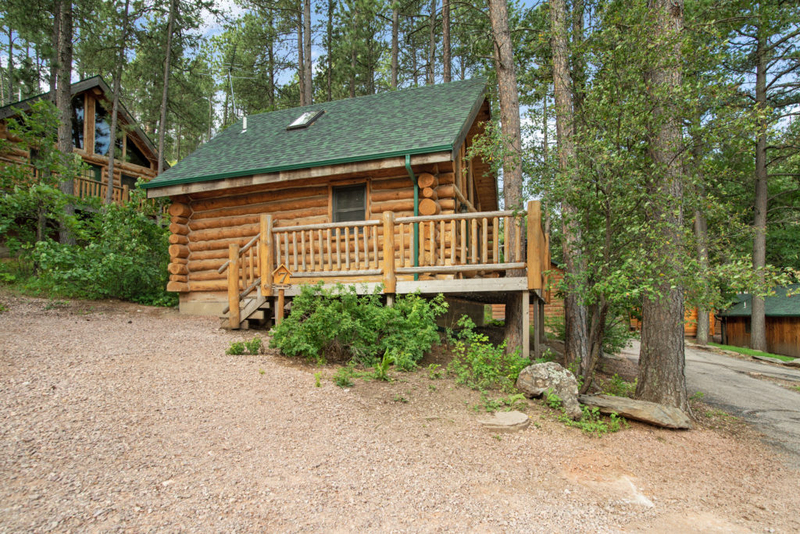 This is a Real Log home. 1 Bedroom w/ Queen bed on lower level + Upstairs Loft area w/2 Full Beds. Full Bathroom w/ a shower and tub. Kitchen Includes a Refrigerator/freezer, Stove/Oven, Microwave, Coffee Maker, Toaster, Dishes, Pots & Pans, Table and Chairs inside, and a picnic table on deck. 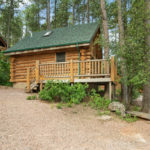 This cabin also includes a flat screen TV, Air conditioner/Heater, and a Charcoal Outdoor Grill. Limited Housekeeping/Wi-Fi. Pet Policy: Pets NOT OK in this cabin.